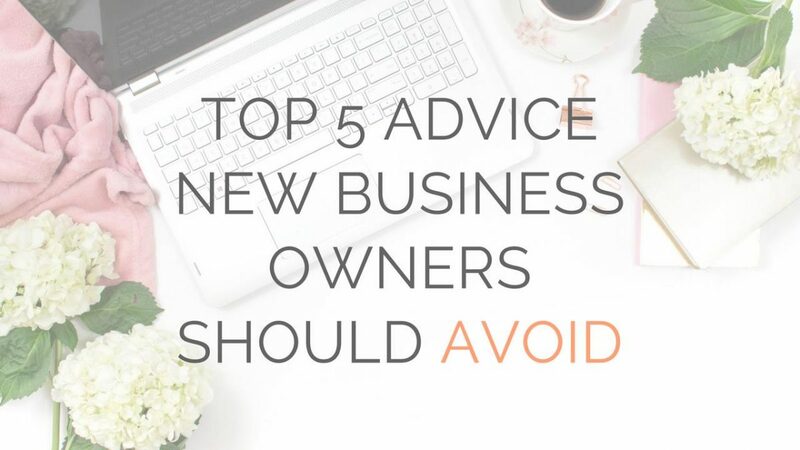 As new business owners, this world couldn’t be a better place in terms of the resources and advice that are so readily available online. With just one quick Google search, you can access all sorts of business advice from all kinds of people in a variety of industries. You know how people tell you not to diagnose yourself on WebMD? It’s the same thing with business advice. Just as you can put yourself in panic mode after reading on WebMD that your cough can be a symptom of brain tumour, reading business advice that’s irrelevant to you can lead you to focus on all the wrong things. And just as it would be best for you to see an actual doctor, it generally is best to talk to a consultant who can give you tailored advice on your specific business. With that said, there are a few things around the internet that as a newbie entrepreneur, you should do you best to tune out and ignore. 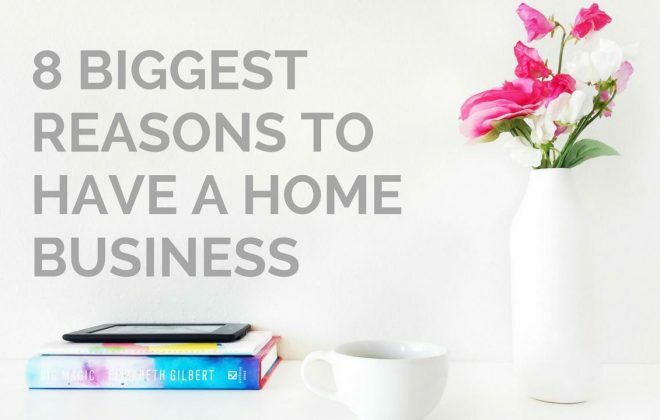 Some business advice articles would tell people who are hesitant about starting their own business to “just do it.” Well, sure, if you have a couple of backup plans and a business idea, with a strong professional and personal support network, and are financially stable to the point of being able to support yourself (and maybe your family) without an income for 6+ months. Look, I’m not trying to be a downer or put a damper on your business dreams. What I’m saying is that business isn’t something you jump into without a proper plan or at least an idea of what you’ll be doing. Starting a business might actually be the biggest mistake of your life, if you’re not made for it or if the time just isn’t right. The “just start a business” advice generally comes from a standpoint of “how will you know until you give it a go?” And that’s true. However, some people may assess the pros and cons and decide that business just isn’t right for them (or at least for the time being). Deciding not to go ahead with your business idea doesn’t necessarily make you a person who is afraid of challenges and new adventures. Depending on your reasons, it might make you the most responsible, calculated and considerate person in that particular period of your life. TRY: Making a pros and cons list and imagining yourself as a business owner. Do you know who will take your kids to and from school? How you’ll pay the bills? Where you’ll work? Where to have meetings? Little details count. Don’t beat yourself up over your reluctance to start a business immediately. Considering every possibility before you commit is the most important thing you can do when trying to decide if business is right for you. Are people still saying this?! This ancient “marketing is bad” notion needs to go away. ASAP. And while word-of-mouth marketing is one of the most effective and genuine forms of marketing, you’re not being a responsible business owner by just sitting around and waiting for people to notice you. Plus, SEO (Search Engine Optimisation) isn’t dirty. It literally means to optimise your site and content for search engine ranking. And while there have been some dirty tricks used in the past to rank higher, search engines are always 10 steps ahead. For example, Google prefers sites that are content-rich, relevant, fast and optimised (e.g. for mobile), as they’re believed to provide more value to users. And since these sites are rewarded with high ranking, the old-school tricks of backlinking, overusing keywords and so on are no longer relevant. Ok, so it might sound like I’m agreeing with the “no SEO” advice. Not at all. SEO is about providing relevant content that is searchable and accessible by those that are looking for it. For example, if I had written this post and failed to mention the word “business” even once, but instead replaced it with “restaurant”, this post will be deemed more relevant to people searching specifically for restaurant advice. And since this post is about startup business owners in general, using “restaurant” would be a bad SEO strategy for me. TRY: Making your valuable content accessible via marketing. Creating value is of course the most important thing your business should focus on. Without value, no matter how many people come to visit your site or business, it won’t be able to retain those visitors. However, don’t ignore the marketing aspect. Marketing is about showcasing and making accessible the value that you created. And word-of-mouth can only start once people know you exist. You may have come across business advice that tell you to forget about the numbers or hitting certain targets. This advice is usually followed by the explanation that these figures are arbitrary and instead you should focus on providing value. Goals and targets drive you. Without the figures and targets, you don’t have the tools to measure the success of your business against the standards that you set. And because your targets (be it pageviews, revenue or product sales) can only be achieved by providing value, they’re precisely the things that measure your business’s value to customers. See, you won’t get pageviews or sell any products if people don’t find your business valuable. So, if you reach your target of, say, 500 unique sales by the end of the first 6 months, it’s telling you that at least 500 customers thought your products provided value. TRY: Setting your targets to measure value and customer satisfaction. Aside from the usual revenue targets, set customer retention targets and measure how many repeat customers you have. Track your site’s bounce rate to measure how many visitors look at more than one page. Set targets to improve your social media activities by measuring your engagement rates (e.g. likes, shares, comments, etc). If you’ve browsed this site at least once, you’ll know how much I love business plans. It’s the focus of this site and one thing I repeat over and over again. And nothing bugs me more than the so-called business advice that tell you writing a business plan is a waste of time! Well, that’s where the research comes in. Business plans, especially for first-time business owners, rarely hit the mark. More often than not, you’ll review your first business plan after 6 months and think you’ve been wrong about practically everything. This is generally the case even after you’ve carefully researched the market, underestimated your revenues and overestimated your expenses. And now, imagine if you hadn’t written one! Consider this: Business plans aren’t there for you to follow to a T. It’s there for you to consider every aspect of your business as much as you possibly can, to minimise the impact of things you might miss down the line. Another obvious reason for writing a business plan is that no potential investor will consider spending their money on your business without some idea of its potential. Read: Why should you write a business plan? TRY: Writing a one-page business plan. If you don’t need funding or if you’re a sole trader, you might not necessarily need a long and comprehensive business plan. However, it’s a great exercise to plan out and write down everything at the start, so that you can organise your ideas that you might forget later or use the plan as a reference point. Update and adjust it often and continue to keep your business on track by reviewing it. You’re selling your customers’ attention. To a degree, I agree with these points. However, there are some reasons why ads can be a viable source of income and even add more value to your website. Of course, ads can be annoying on sites that are overloaded with them. They can distract you from reading or doing things on the site, make you accidentally click out of whatever you were doing, and slow down the site so that you can’t get to the information faster. And they’re precisely why most visitors use ad blockers! But ads don’t have to be all bad. The most obvious reason you might consider showing ads on your website is the fact that they can be a great income source if you have a lot of website traffic. And especially for bloggers whose only revenue streams are ads and affiliate marketing, it’s almost silly not to show ads. Most website visitors know this, too, which is why people will (generally) gladly disable ad blockers on their browser to view the site if kindly asked to do so. Another reason that people might not consider is that ads can actually add value to your visitors’ experience. When done right, the ads on your site can show relevant content from other sites that can be used in conjunction with your content. For example, on this site, you’re most likely to see ads relating to business plans. In that case, you’re not selling your visitors’ attention; You’re providing value while simultaneously making a few bucks. TRY: Not showing too many ads. Reduce the number of ads being shown on any given page to optimise your visitors’ browsing experience. For example, if you have a short page with less than 500 words, you might want to disable ads on that page Also, configure your settings to only show ads that are relevant to your content and that your visitors might find useful. Going back to the WebMD analogy, it’s always up to you to filter out the business advice that you receive and determine what is relevant to your business. One general strategy for finding relevant advice is to specify your search keywords to include your industry. So, instead of searching “How to increase traffic to my website”, try “How to increase traffic to my café website”. And as always, if you’re stuck, drop us a line in the comments below or at support@yvoxs.com. Last but not least, don’t ignore your option of speaking to a business consultant. When you’re feeling confused, just one meeting could make a world of difference!